The Egyptian fruit bat uses navigation techniques similar to those modern-day military and civil surveillance use, new research suggests. The finding could inspire new directions for driverless cars and drones. “Before people thought that this bat was not really good at echolocation, and just made these simple clicks,” says Wu-Jung Lee, a researcher at the University of Washington’s Applied Physics Laboratory and lead author of a paper describing the findings, which appears in PLOS Biology. “But this bat species is actually very special—it may be using a similar technique that engineers have perfected for sensing remotely,” Lee says. While most other bats emit high-pitched squeals, the fruit bat simply clicks its tongue and produces signals that are more like dolphin clicks than other bats’ calls. Fruit bats can also see quite well, and they switch and combine sensory modes between bright and dark environments. “But no one knew how they do it, and that’s when I got excited, because there’s something going on that we don’t understand,” Lee says. Researchers measured the animals in the “bat lab” at Johns Hopkins University by capturing high-speed video and ultrasonic audio of bats during flight to study the mechanism of their behavior and navigation. In measuring echolocation signals from fruit bats with a three-dimensional array of microphones, Lee didn’t solve the mystery of the seemingly motionless tongue clicks, but she did notice something strange. The beam of different frequencies of sound waves emitted by the bats don’t align at the center and form a bullseye, as one would expect from a simple sound source, but instead the beam of sound is off-center at higher frequencies. Lee recognized the pattern as a common one used in radar and sonar surveillance systems. Invented in the early 20th century and now used throughout civil and military applications. Airplanes, ships, and submarines emit pulses of radio waves in the air, or sound underwater, and then analyze the returning waves to detect objects or hazards. While a simple single-frequency sonar has a tradeoff between the angular coverage and image sharpness, a “frequency-scanning sonar” solves this problem by pointing different frequencies of sound at slightly different angles to get fine-grained acoustic images over a large area. Lee wondered if the fruit bats could be using the same technique when echolocating. She created a computer model of what might happen when the tongue click from the front of the mouth travels out and passes between the bat’s lips. The elongated shape of the bat’s mouth creates varying distances between the sound source and the gaps between its teeth, and this creates positive or negative interference between sound waves of different frequencies. The result is that different frequencies point in different directions—just as a frequency-scanning sonar would act. What’s more, sound doesn’t have to pass between the bat’s teeth, just through its lips—a discovery the researchers made thanks to one toothless bat. 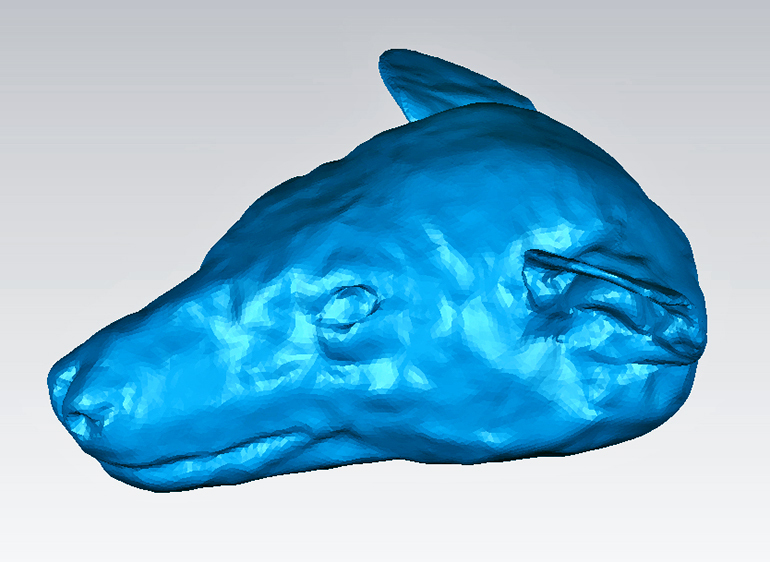 After doing calculations with a rough approximation of the bat’s skull shape, Lee worked with coauthor Jessica Arbour in the University of Washington’s biology department to get a CT scan of an actual fruit bat’s skull. 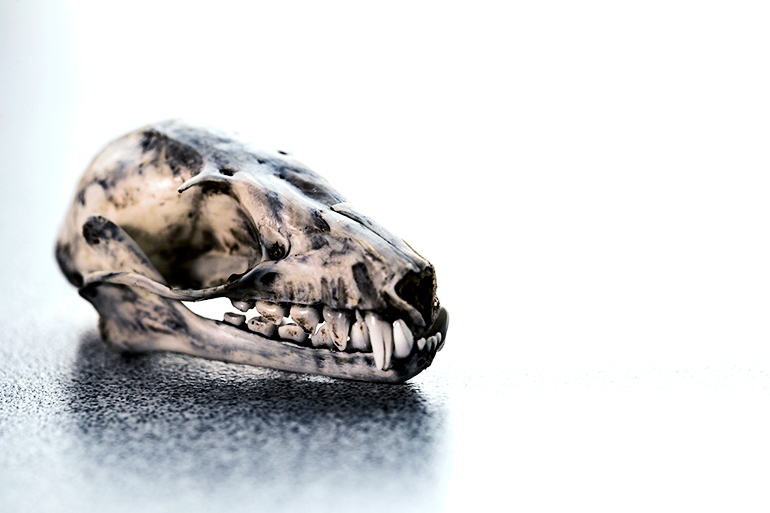 Incorporating an anatomically correct skull shape in the model confirmed the results. Though Lee can’t say exactly what’s happening inside the bat’s mouth when a tongue click is produced, the model suggests that could be how the bat creates its sonar beams. This mechanism might be a simple evolutionary solution—the Egyptian fruit bat looks like closely related bat species that don’t echolocate, and also has large eyes. This means the shape of its head has not changed through evolution. From an engineering point of view this simplicity offers a similar benefit. Other coauthors are from Johns Hopkins and the Indian Institute of Science Education and Research, Pune. A UW-APL SEED postdoctoral fellowship, an Acoustical Society of America postdoctoral fellowship, the US National Science Foundation, the US Office of Naval Research, the US Air Force Office of Scientific Research, the France-based Human Frontier Science Program, and the Government of India funded the work.